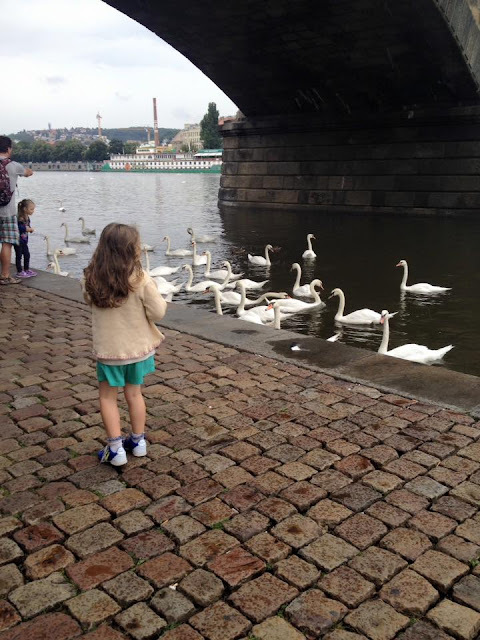 I took Matilda to Prague when she was 6 years old and it was my first visit too. It had always seemed like it was a million miles away from us, but in reality, you can get a cheap flight, Interrail it with a train, over there or even do it on a coach trip from London (although it will take a day). With so much access to travel these days, the world really is your oyster. 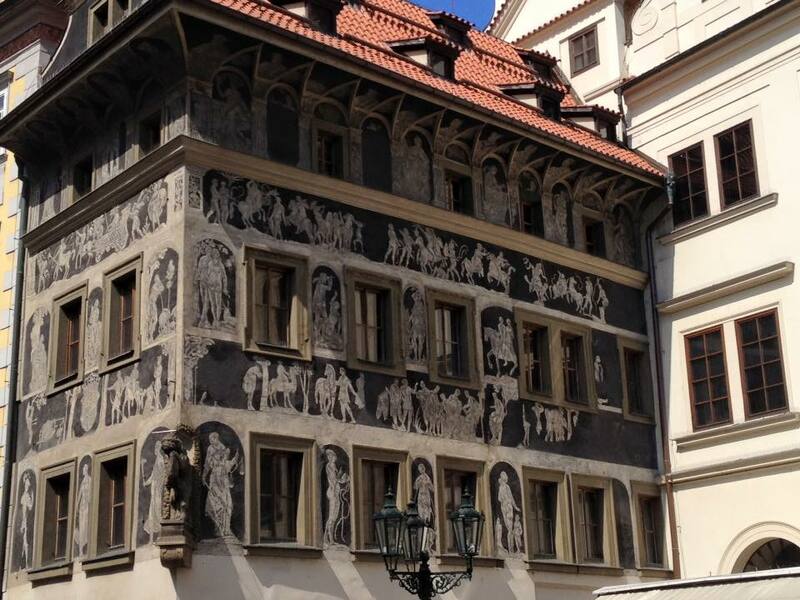 Prague is such a beautiful city that is full of history and beautiful building. The River Vltava runs through the city and separates the old town with the new town, it has many floating restaurants and botels along the river bank and is perfect for walking along at any time of the day. There are so many places to go to and things to see in Prague, but we have selected a few for you to look at today. This is the oldest bridge in the city and for a long time, it was the only bridge that crossed the river. It was finished in 1407 after the previous bridge was destroyed in a flood. It took over 50 years to build and it is amazing that it still stands today, over 600 years later. Legend has it that egg yolk was mixed into the mortar to make the bridge stronger. The bridge is named after King Charles IV who commissioned it to be built it had someBaroque statues placed along either side of Charles Bridge in the 17th century. Now many of them are copies and the original ones are in the Lapidarium. The most popular statue is of St. John of Nepomuk (the saint of Bohemia) who was thrown into the Vltava from the bridge by King Wenceslas IV. The bridge is only for pedestrians and it can get very congested at times but you get a great view of the city from there. The National Museum is found at the top of Wenceslas Square and has had to put up with a lot of damage over the years, but still stands firmly in its place. It was heavily bombed in WWII by the Germans on the day before they surrendered and then it was covered in bullets from Soviet military soldiers when they drove armed vehicles onto Wenceslas Square and the occupation (one of the darkest eras in Bohemian history) started. They shot at the National Museum, thinking it was the Czech Radio building, you can still see the bullet holes nowadays. The museum is over 200 years old and recently underwent some refurbishment. It is the biggest museum in the Czech Republic and has so many permanent exhibitions like Noahs Ark, that has stuffed animals of the world and ones that once roamed the earth. It is open from 10am - 6pm, every day except from Mondays and is free for children under 6 years old. This is a 'must see' place to go to! It can be found in the old town square and it is one of the most beautiful areas of a European city that I have ever seen. 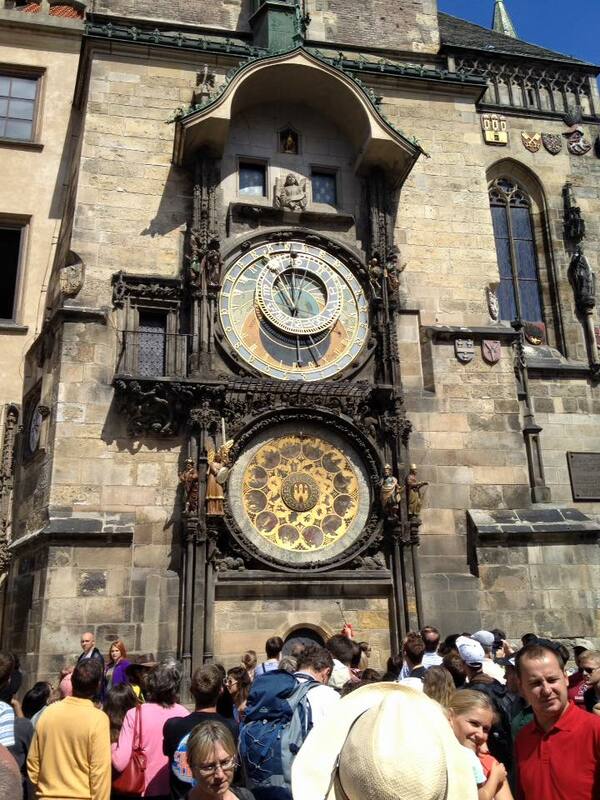 It was built in 1338 and right at the top of the building is a clock, but further down is the astronomical clock. inside, the Municipal Hall is where the historical day to day business was done and The Brozik Assembly Hall was where the town council used to meet until after the second world war. when you go down to the town hall cellars it shows you the oldest history of Prague’s old town. Although they were formally at street level, they are now 2 – 8 metres below town level. The town was built up over the years to prevent flooding from the river. The astronomical clock is the third oldest one in the world and the only one that still works, it was installed in 1410. It's open every day of the week 9am until 10pm (except Monday, when it opens at 11am). 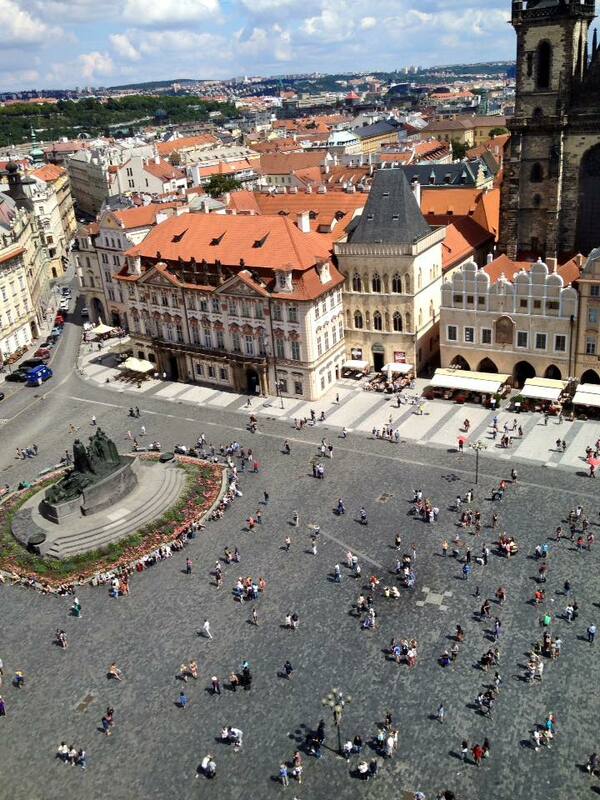 When you go to the top of the Old Town Hall, you get an amazing view of the Old Town Square. When we first arrived in Prague, we were disappointed because all we saw were modern sides to the city, but you have to go down some side streets to find the Old Town Square, it is a bit of a walk but it is worth every minute of it. On the way, the streets are lined with cafe's and bar's, so takes time to enjoy a drink. In the middle of the square is the Jan Hus memorial statue Jan Hus was a religious reformer, who was burned at the stake for his beliefs. This led to the Hussite Wars. The statue was erected in 1915 to mark the 500th anniversary of his death. It is the place of historical executions and there are 27 crosses marked on the pavement to represent the beheading of martyrs. 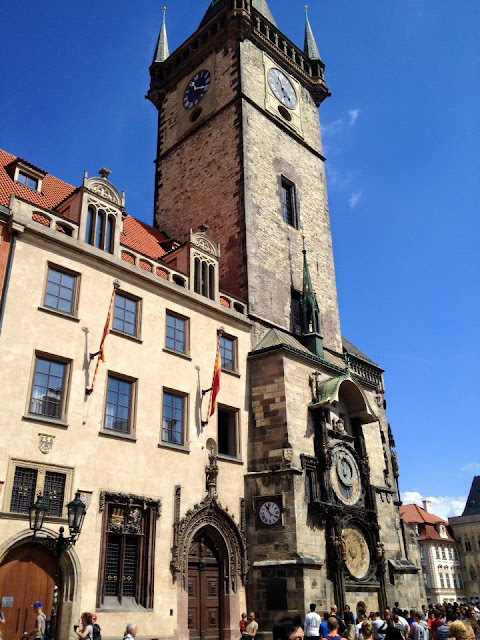 The square is always full of tourists and its where you will find the Old Town Hall. The square is always busy at Easter and Christmas with markets. The castle dates right back to the 9th century and was always the seat of power for kings, Roman emperors and the presidents of Czechoslovakia. It has a hidden room within the castle that holds the crown jewels. Prague Castle is the largest ancient castle in the world and is one of the most visited tourist attractions in the Czech Republic. It is a UNESCO World Heritage site and consists of a large-scale composition of palaces and ecclesiastical buildings of various architectural styles. The castle is out of the town and we got to it by using a tour minibus. The complex is open from 6am until 10pm so you can use the grounds until the buildings open at 9am until closing at 5pm. This is not what I expected it to be. I thought it would be part of the old town but instead, it is lined with western shops, I even heard someone saying how Americanized it was but it has always been the commercial centre of Prague with medieval shops aligning the square in the olden days. There is a simple memorial to everyone who suffered under communism and its a place for people to hang out after a busy day at work as well as a centre for tourists. 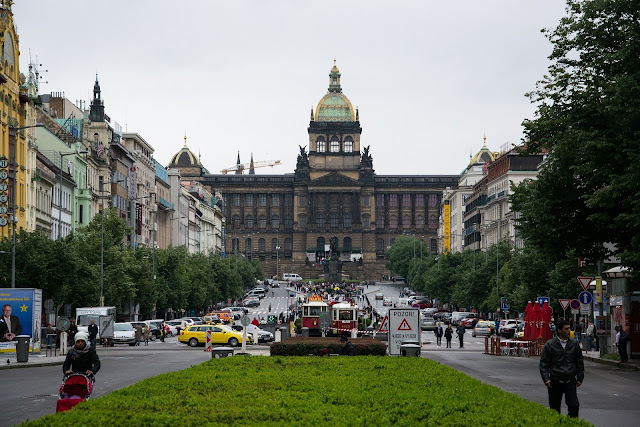 You will find the National Museum here and the statue of Wenceslas. This is a fort, that is located about 3 km away from Prague Castle and it is said to be the oldest seat of Czech princes. 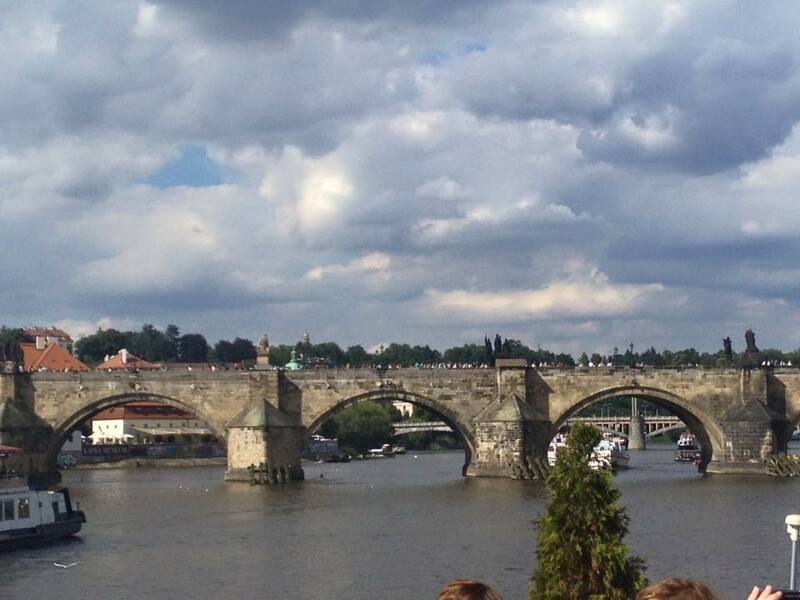 It was built in the 10th century and is on the right bank on the Vltava river. It is situated high on a rocky area and has the most amazing views of the city, the grounds have hidden areas within the park area and you will find many architectural treasures including the rare Romanesque Rotunda. It's open 9.30am until 5pm in the winter and 9.30am until 6pm for the rest of the year. There is so much more to do in Prague and so much to see. You can also do a bus tour that will take you to all of these places and you visit what you want to see. 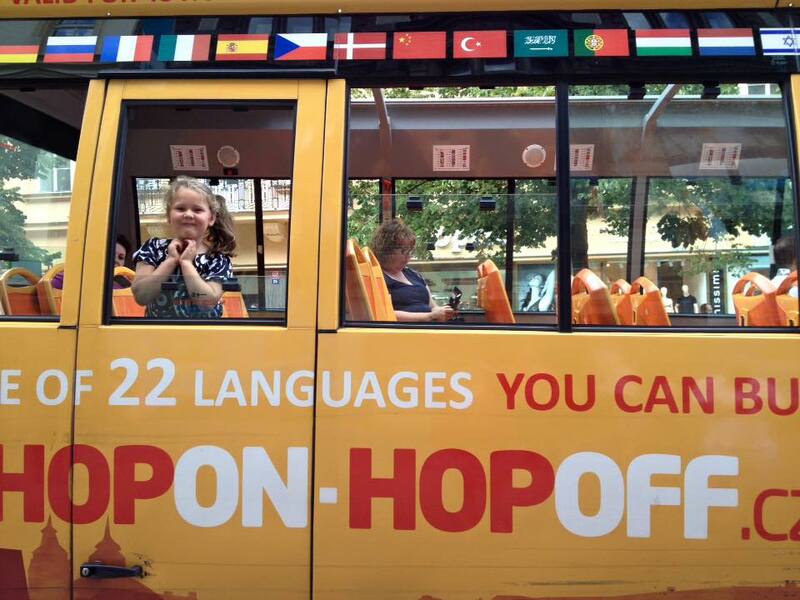 You will love Prague. It is a city that is modernising but still keeps the old town to what it is. There is still a lot of signs of communism in the city. You really do get a mixed bag when you visit Prague. What Are The Super Rooms Like At Travelodge? Where Can I Stay In Southern Turkey? Can You Visit Istanbul In A Day? What Is The Best Way To Travel As A Backpacker? What Is Parkdean Romney Sands Like To Holiday At?